It has been one year since the tragic earthquake devastated the country of Haiti. Just taking a look at the picture of the government building in the background let's us know that more support is needed. A great report that gives a clear indication on what needs to be done in Haiti and a discussion on what Wyclef Jean's role should be as the country tries to recover from the aftermath of the earthquake. 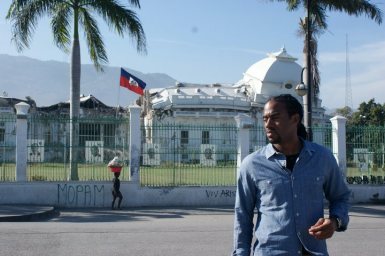 The Grio also reports on the progress through a week long series of reports from Haiti.